Greedy much, John Corey Whaley?!? 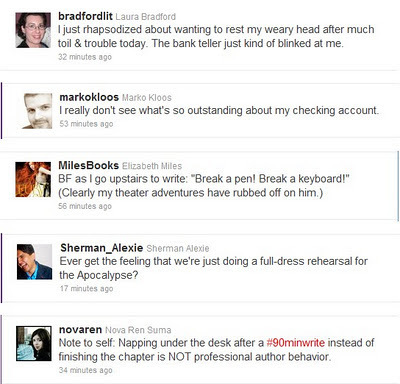 :) Seriously, how amazing to have your work honored in such a way. Lots of other great books and authors were nominated as well, including Maggie Stiefvater for THE SCORPIO RACES. So many more excellent reads to add to our pile! And now a question for you: What was the last book you brought along with you everywhere? crashed computer? oh that poor poor author! 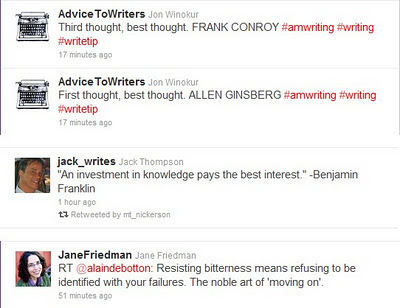 HAHA love the AdviceToWriters post. Can't wait to check out some of the books the ALA gave nods to! @nicole...seriously. and I'm being completely superstitious about it!